Filed to: jackie bradley jr.Filed to: jackie bradley jr. The World Series starts Tuesday night, and it’ll start at Fenway Park for the simple reason that the Red Sox are the best. They were the best team in the regular season—108 wins, fewer than it probably could have been had they not been allowed to take their foot off the gas after essentially clinching the division in the first week of August. They have been the best team in the playoffs—they have now won four straight, six of seven, and are 7-2 overall. None of this is to say that L.A. or Milwaukee can’t beat them in a single seven-game series, only stating the premise: The Red Sox are the best team in baseball. As if to hammer home just how deep these Red Sox are, the ALCS MVP went to the No. 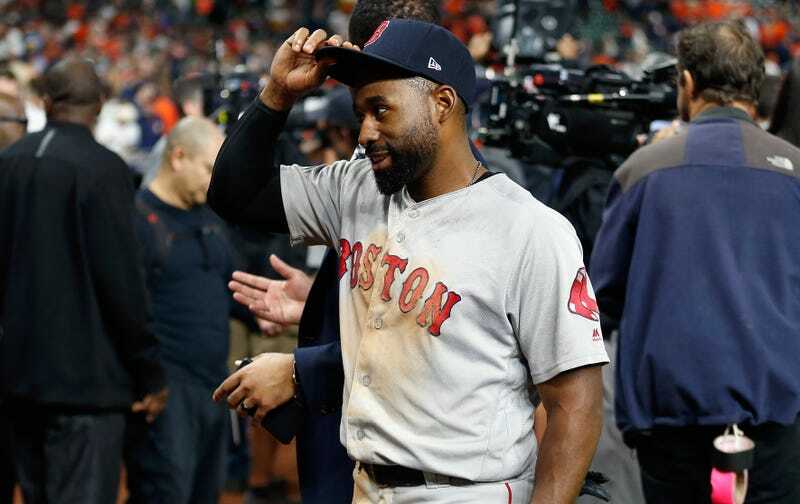 9 hitter last night and for most of the postseason, Jackie Bradley Jr. Bradley’s series was much like his season, streaky, but he made his moments count. Bradley was just 3-for-15 in the ALCS, but every single one of those three hits was big: a bases-loaded double in Game 2, a grand slam in Game 3, and the big blow of Game 4, a two-run home run. All three hits came with two outs. 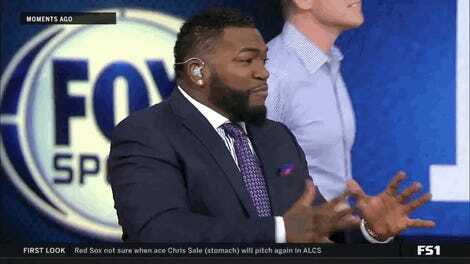 Per ESPN, that ties for second-most two-out RBIs ever in a postseason series. Bradley is the oldest (at 28) and least heralded of Boston’s homegrown outfield trio, but that’s not at all a criticism when you’re talking about the best outfield in MLB by WAR—and by far—since 2002. He’s the best defensively of the three, and his bat is absolutely nothing to shake a stick at. “Streaky” is often used as a pejorative, but don’t forget it requires hot streaks as well: After a slow start, since July 1 Bradley has hit .269/.340/.479. When you get production like his out of the nine-spot like the Red Sox have in the postseason, you win games you might not have otherwise. And so here the Red Sox are, hoisting the pennant, because just about every single player in that clubhouse has performed better than their counterparts on other teams, performed well enough to win 115 games, with 119 and another championship feeling like theirs to lose. “You just want to be part of something great,” Bradley said, and he is.